There are two ways to take the lesson. In the audio version you can just listen and follow along. I used short song clips, 65 of them. But in the actual lesson section I have links to full versions of the songs. They will give a much greater appreciation and understanding of not only the meaning of the song, but also the place of the artist or song in history. And the lesson also gives more in-depth information, and links to other resources, on my website and on other internet sites. Students may choose to use a combination of these two ways. The lesson can be found either in the Flipbook or on my site. 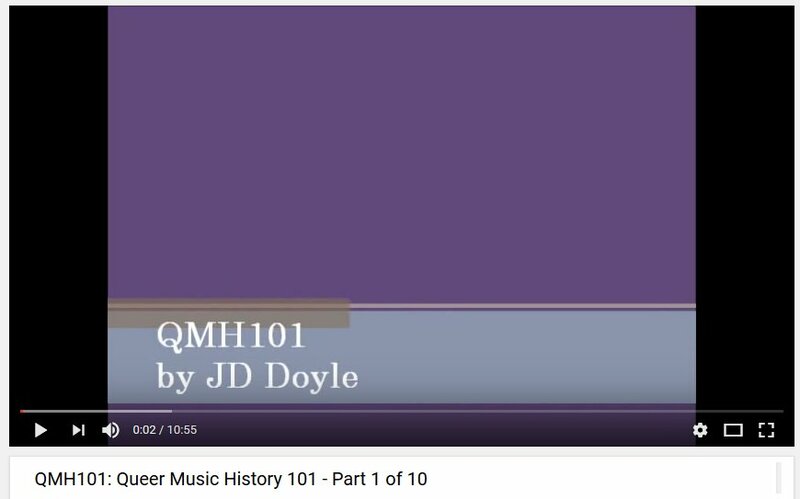 The "Click' buttons on the main webpage allow for the streaming or downloading of the entire audio version, and in the lesson itself there are buttons to click to hear entire songs, such as in the example at the left. From the Flipbook you can also download the lesson in PDF format. The driving force of my radio show and site has always been that I do not think gay, lesbian, bisexual and transgender music of the past should be forgotten. 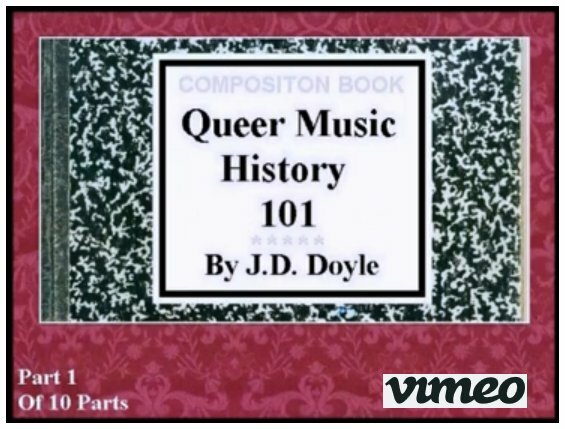 Several years ago I was asked to write an essay for a university music journal on "Queer Music Radio: Entertainment, Education, and Activism," and I think that article really fleshes out the importance of this subject area. 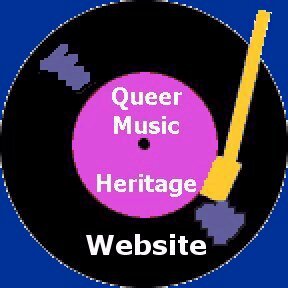 The music history of LGBT culture is largely forgotten, and this is a unique area that should not be, as it reflects a culture itself that until the last few decades has been invisible. In their music artists describe their lives, and their struggles with a variety of life issues, just like straight people, and understanding brings acceptance. it seems everyone has laptops these days. I have inserted questions on various subject areas into the audio segments themselves and those are also shown throughout the lesson. Certainly professors will think of additional ones to highlight particular areas they wish to stress. And I would love to hear about them, for possible inclusion in the lesson for the benefit of all. I would also appreciate feedback when this "lesson" is used in a course, because it would be interesting to see where and how it is used.